Edward J. Ahearn is a partner in the Litigation and Personal Injury Departments. He devotes his practice to the areas of negligence law involving motor vehicle, fall down and product liability claims, as well as workers’ compensation law involving claims for disability due to work-related accidents and occupational exposures. Mr. Ahearn earned his B.S. from Spring Hill College in 1982 and his J.D. from Seton Hall University School of Law in 1993. He is admitted to the bars of New Jersey and Pennsylvania. 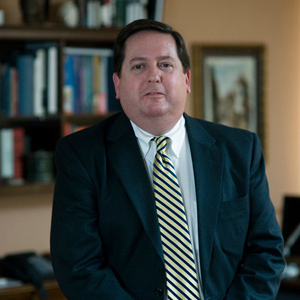 He is an active member of the Monmouth County Bar Association and the Association of Trial Lawyers of America. Since 2004, Mr. Ahearn has been appointed as personal injury Arbitrator by the New Jersey Superior Court for Monmouth Vicinage.